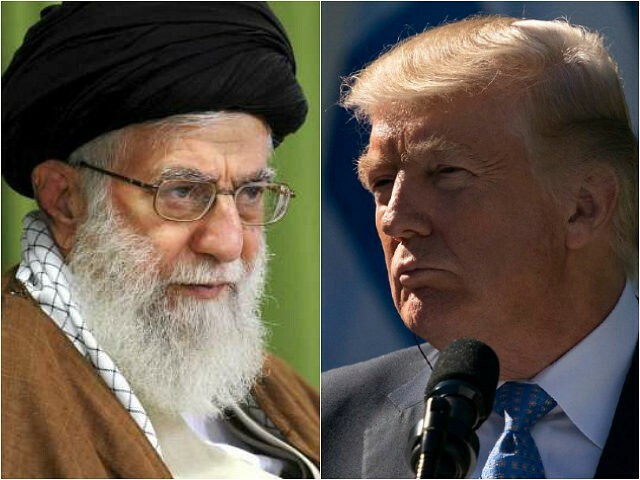 “The U.S. President lied at least ten times in his statement and threatened both the Iranian nation and the country’s political establishment,” Khamenei said in a statement posted to his official website, according to Radio Farda. “Trump will whither away, perish, and his body will decompose: but, the Islamic Republic will still be thriving,” Khamenei added. The publication, as well as several others, reported that Larijani said Iran’s Atomic Energy Organization should be prepared to resume nuclear activity. During Wednesday’s parliamentary session, several politicians set an American flag on fire and chanted “Death to America.” The lawmakers reportedly also torched a symbolic copy of the Iran deal before vowing to increase spending on the country’s ballistic missile program.